Susan strives to ensure the arts are meaningful, impactful, and relevant to her community. In order for that to happen, creatives must have a solid support system in place, and it is that ideal that steers her career as an Arts Administrator. Susan is currently Executive Director for NEXT Ensemble, an organization with the explicit goal of transforming the concert experience. NEXT has grown into a vibrant chamber music collective that makes connecting with their audiences a priority. Susan’s community-mindedness is reflected through her volunteer work with Ogden First, Inc. and Art+Action, both of which are key participants in the development of Ogden’s downtown Nine Rails Arts District. She also sits on the Ogden City Arts Advisory Committee and is a designated Utah Division of Arts and Museums Change Leader. 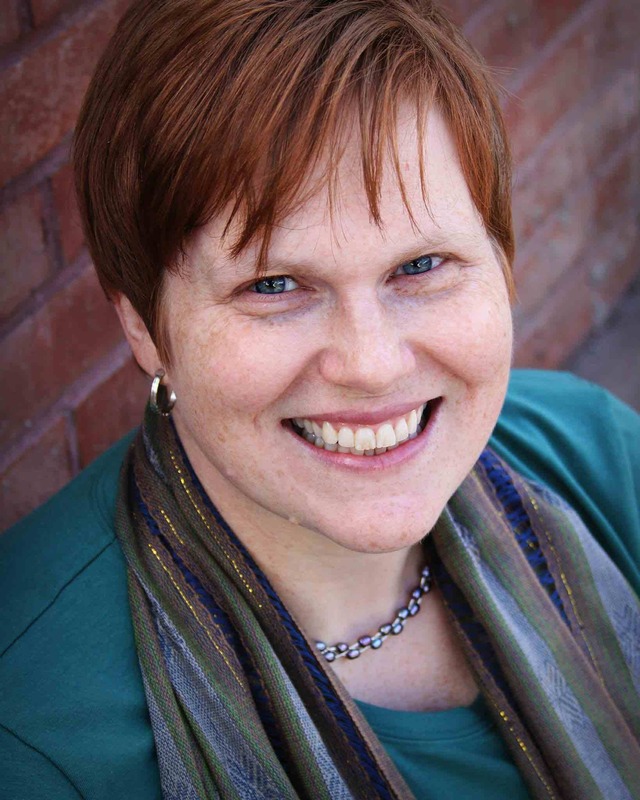 Susan was formerly the Executive Director for the award-winning One Voice Children’s Choir, where she was able to apply her organizational and administrative skills to manage the choir’s demanding performance schedule while also securing numerous grants to support the group. She has also worked as Administrative Services Manager at the Val A. Browning Center for the Performing Arts and as Education Development Manager at the Ogden Symphony Ballet Association. An active flutist, Susan can be found playing chamber music with NEXT Ensemble, principal flute with Chamber Orchestra Ogden, or as a soloist at the Ogden Bach Festival. She holds a BA in Music from the University of St. Thomas, an MM in Flute Performance from the University of Minnesota, and an MA in Arts Administration from Southern Utah University. Gabriel Gordon has enjoyed a varied career conducting professional, community and youth orchestras for 16 years. He made his professional conducting debut with the Orchestra of St. Peter by the Sea in 1998, and soon after formed the Chamber Orchestra at Tower Hill. Mr. Gordon has guest conducted the Santa Fe Symphony and Chatter, a Chamber Ensemble, as well as the All-State Orchestra in Oklahoma City. As a violinist, Gabriel studied with Eugene Drucker and Jascha Brodsky, and has performed for 30 years with many orchestras such as the American Symphony, the Santa Fe Symphony, and the New Mexico Philharmonic. Mr. Gordon is a founding member of the Daponte String Quartet, and Trio Excelsior! Gabriel served as conductor of the Albuquerque Youth Symphony since 2007, leading the orchestra in tours to Chicago, Australia, Austria, and in 2014 to Carnegie Hall in New York City. In August of 2013, The Santa Fe Opera and The Albuquerque Youth Symphony collaborated in a fully staged production of the opera Noah’s Flood by Benjamin Britten with Mr. Gordon as the conductor to wide acclaim. As Music Director of the Albuquerque Youth Symphony Program from 2009-2014, Mr. Gordon presided over the purchase of a rehearsal facility, and a subsequent expansion that nearly doubled the ensembles in the program including choral ensembles, a guitar ensemble, a third high school orchestra, and a training ensemble for students who wish to become professional musicians. In 2015, Mr. Gordon became Artistic Director of the NEXT Ensemble, conductor of the Davis Youth Symphony, and is also a violinist with Chamber Orchestra Ogden, as well as the New American Philharmonic. Originally from New York City, Gabriel studied with some of the great luminaries of conducting including Kenneth Kiesler, Gustav Meier, Harold Farberman, David Gilbert, and Jonathan Strasser. What interests me most about music is its connection with human beings. In all of my work, I seek to explore and understand how people create, make sense of, and use music in their lives. I’m fascinated by all music and all people, which pretty much means I’ll never run out of things to do. I teach classes in both popular and classical music history at Weber State University; to me, history is not a series of unchanging facts about dead people and old things — rather, it is a parade of stories about people and their music, which are kept very much alive when we strive to find connections between our own humanity and theirs. When not teaching about links between people chronologically, I’m seeking to look across geographical and cultural borders in my world music class, which is a horribly misleading title (isn’t all music world music?). Occasionally I get invited to collaborate with colleagues in other disciplines, which is always eye-opening and broadens my perspective: for instance, I recently co-taught a class with a political scientist about the cultural tipping point that was the year 1968. My research interests are pretty wide-ranging and have shifted over time, but at their core is this fixation on how people make, understand, and employ music. I’ve presented conference papers and published articles on topics ranging from Miley Cyrus to Mozart Concertos to Mash-ups, and at the moment I’m particularly into experimental works that push the boundary between noise and music. I’m also in the process of writing a music appreciation textbook that reflects my own topic-driven and genre-omnivorous approach, as well as a monograph about what the Beastie Boys album Licensed to Ill revealed about racial politics in early hip-hop. I enjoy making music, too, and you can occasionally find me playing French Horn in an orchestra somewhere. My creative efforts are channeled into composing electronic music which I enjoy doing in collaboration with other art forms: I recently wrote electronic underscore for a theatre production at Weber State, and am currently working with dancers and sculptors to create interactive music for a two-part project meant to expose and dismantle presumptions regarding the boundaries between sound, movement, and objects. With my interest in connecting music and people, I have been drawn lately to participate as a musicologist in my off-campus community as well. 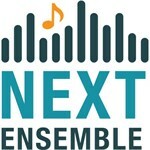 I’m the host for a busy chamber music collective called NEXT Ensemble and my sole purpose with the organization is to bridge the gap between the music, the performers, and the audience. I am also musicologist-in-residence for the Beyond the Beat program at the youth media organization SpyHop where I advise high school students as they research and create short radio documentaries about music that moves them. What music moves you, and why? David Cox was raised in San Jose, CA and began playing trumpet at age ten. He was a member of the San Jose Symphony Orchestra (trumpet) from 1952 to 1959. He was also a member of the Santa Clara Philharmonic (1954-59) and performed with the Carmel Bach and San Francisco Bach Festivals during several of those years. David received both the BA (1960) and the MA (1971) degrees from San Jose State University and an MFA degree (1974) from the Ohio State University in Columbus, Ohio. He was a professor of Visual Arts (Ceramics) at Weber State University from 1971 to 2011 and operated “the Potworks” ceramic studio in Huntsville, Utah from 1986-2010. His pottery and ceramic sculpture have been exhibited extensively, including M.H. de Young Memorial Museum, San Francisco, Ca, the Museum of Contemporary Crafts, New York City and the Renwick Gallery of American Crafts in Washington D.C.
After over a thirty year hiatus from Music, David returned to playing in late 1993. He currently performs with the Ogden Concert Band (1995-), the New American Philharmonic Orchestra (1996-) and the Chamber Orchestra Ogden (2013-). He was also a member of the Mount Ogden Brass Quintet from (2002-2016). He is pleased and excited to be involved with NEXT and it's mission to transform the concert experience in our community. David has been a board member of NEXTensemble since it's beginning in 2015. Become a fan of NEXT Ensemble to hear about new music, videos, event info & special offers.